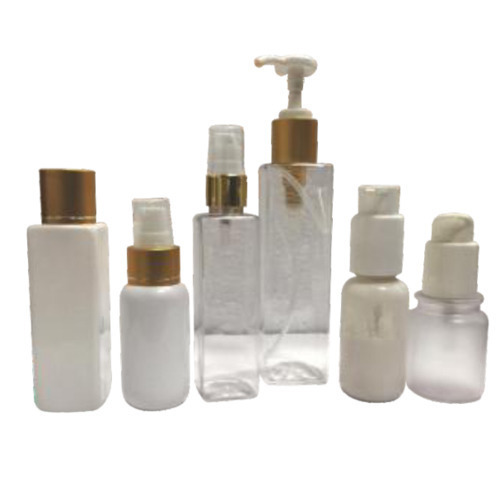 All these bottles are available with us in different sizes which can be used with various kind of pump option. Established in the year 2013, we "Syscom Packaging Company" are leading manufacturer and trader of affordable and innovative Cosmetic Packaging Products such as Mist Sprayers Pumps, Dispenser Pumps, Glass Bottles Lotion Pumps, Disc Top Caps, Airless Bottles, Essential Oil Bottles, Pen Perfume Bottles, Foaming Bottles, Roll On Bottles, Roll On Balls, Bottles Spray Screw Neck Pumps, Fine Glass Bottles, Fine Roll On Bottles and Plastic Lotion Pumps. Many of our customers say they choose us for our service and good value. At Syscom Packaging Company you can have the quality and service you want at an affordable price. We have automated our processes, kept our overheads low and only sell in bulk We have been in this business a long time, so We have learnt a few things along the way, such as having plenty of standard products in stock so, we can respond to customer needs quickly.